As e-mailed on 5th June to all Associates, Keith has received some free-entry passes to Stanford Hall for the Founders Day event, but so-far, there have been no takers. I hope that this is not an ill omen for our ABC pitch, on 20th July. Two experts have written in to say that the convoy of vans in the photo in Newsletter no. 1010 were Buicks, even though their bodywork is not all the same. It is confirmed that it happened in 1919, but all further terms of reference of the convoy remain shrouded in the mists of time. In reaction to the request for info. on a valve lifter mechanism that's compatible with a timing-chest mounted Pilgrim pump, Martyn writes that he has made and fitted a set with extended arms. "The lift isn't massive, but it doesn't need to be". He adds that they work well, but don't aid starting very much, because of the crankcase compression! I find this a little strange, as air in the crankcase, when compressed, should act as a spring, returning most of its compression-energy as it expands. ABC on the move: Our ex-marque specialist Alan informs us that he has transferred ownership of his Sopwith to his stepson Ed, who has joined our ranks. A handsome inheritance indeed! 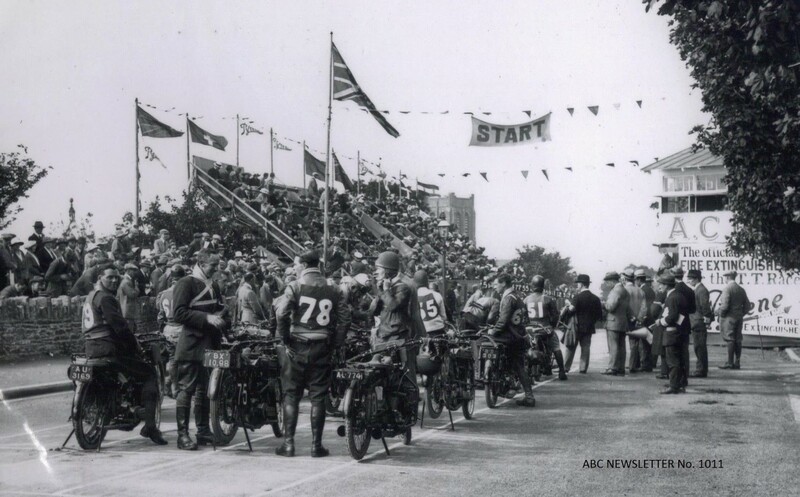 The first photo in this month's gallery shows an IoM TT Race line-up in the Glencrutchery Road Start Area. A little enlargement of the near right-hand machine will show it to be a Sopwith, armed with a mean pair of megaphones. I bet it sounded bonny! Can anyone shine some light on rider no. 78, and his fortunes in the race? 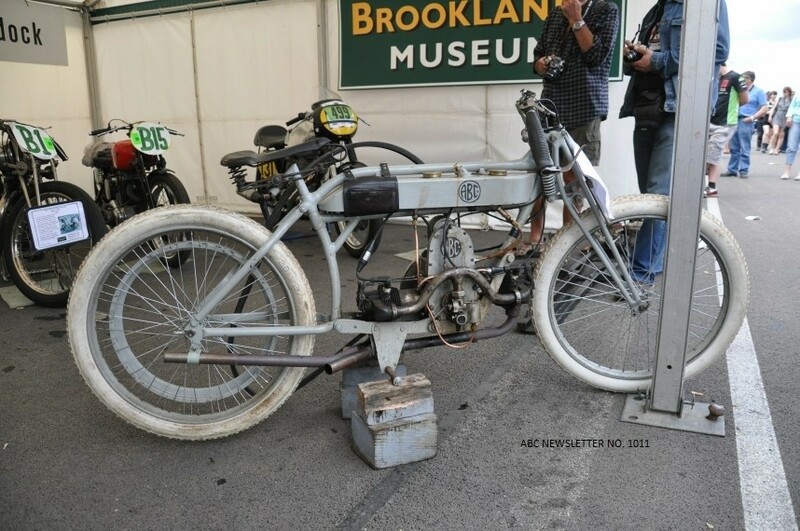 This picture is of our marque-specialist Keith's pre-war model, on location at Brooklands during a summer's show-day of some years ago. Note the period pit-stand! 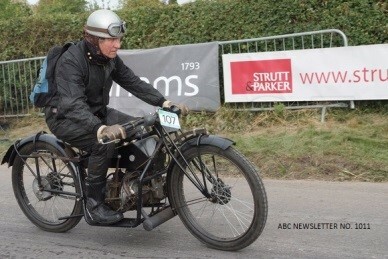 And here he is again, exiting the Banbury Run start-area at some speed, a couple of years ago.